Utah is obsessed with their sweet pork. For real life obsessed. 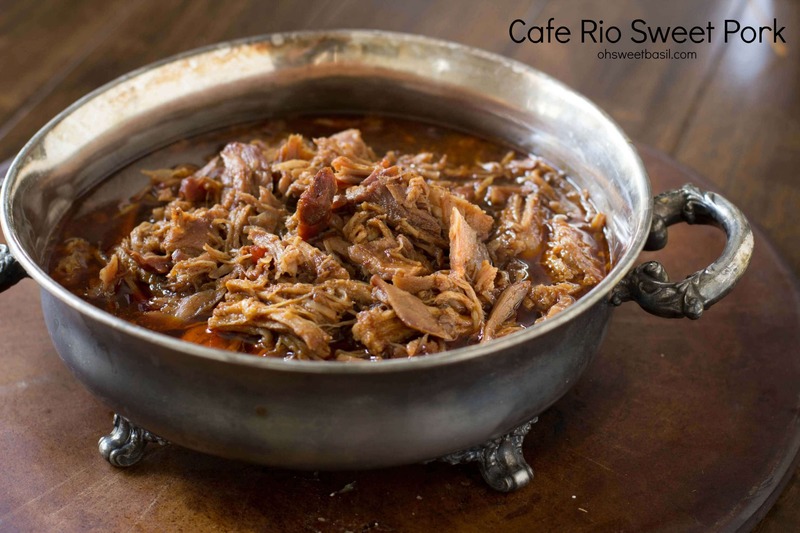 It all started with the whole Cafe Rio and Costa Vida thing and now every woman I know has her own copycat recipe for sweet pork. 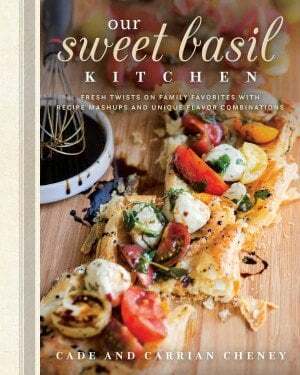 But do they have a sweet pork macaroni and cheese recipe?! Booyah!! 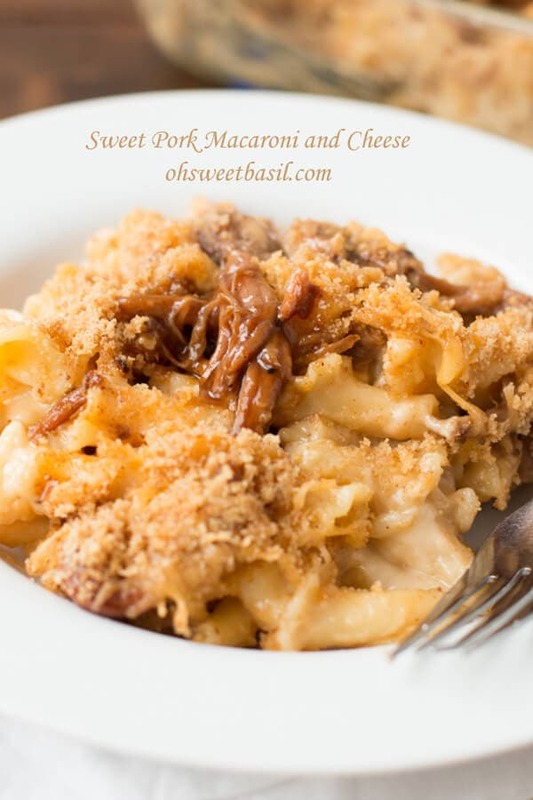 Our littlest is in love with sweet pork and the older daughter has been asking for macaroni and cheese for dinner (no clue where that came from) so when we had some sweet pork left over we decided to go ahead and throw both together into one dish and see what happens. Occasionally my mom would let us throw some cut up hot dogs into our macaroni and cheese (which I’m not going to lie, I think I want to try that. Or not. I’ll think about it.) and it was like the coolest ever. Cade and I were joking around about how we ate as kids, top ramen, macaroni and cheese (kraft of course) with hot dogs and spaghetti o’s for my house and he had similar but add in tuna fish sandwiches. Gag. No tuna fish at my house. Oh gosh, I remember Mom making them when I was really little, the can, the Miracle whip, the whining from me that I didn’t want to eat it. Not happening now that I’m the adult. Cade insists it’s really good to do a tuna melt too, but I’m refusing to listen. bleh. 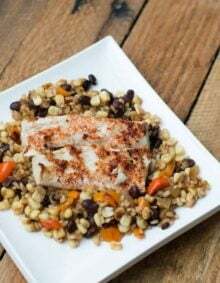 Now that we’ve had this recipe and it totally rocked I can’t help but want to try more combos and we’d love to hear about your recipes as well! 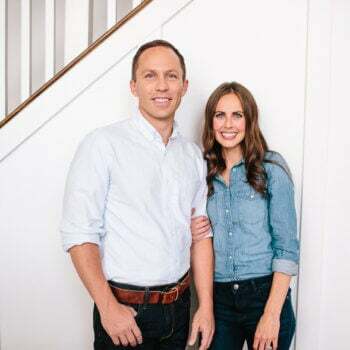 So make sure you head over to two of my personal favorite people’s blogs and link up your favorite recipe, and no need to be a blogger! Just go to Rachel Cooks, and Nutmeg Nanny, link up and get a chance to win! Can Mac and Cheese Be Made the Day Before? 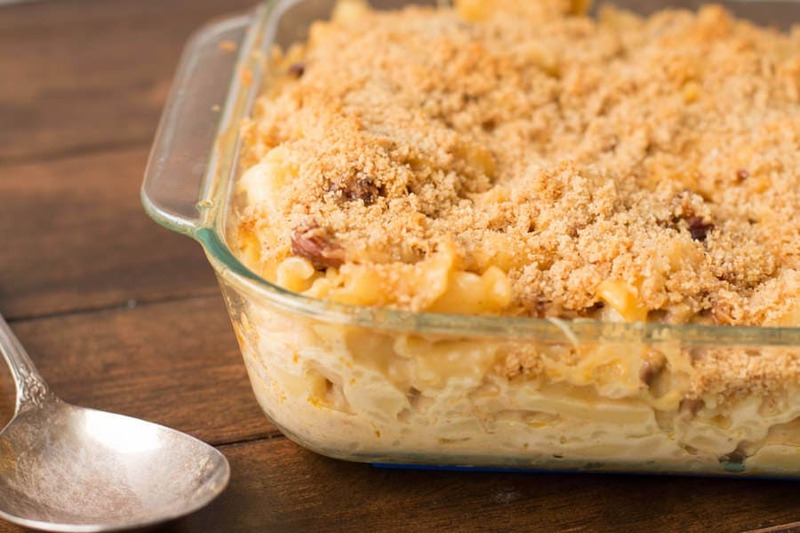 Macaroni and cheese can be made ahead, put into the baking dish, cooled completely, and kept, covered in the refrigerator, for 2 days. 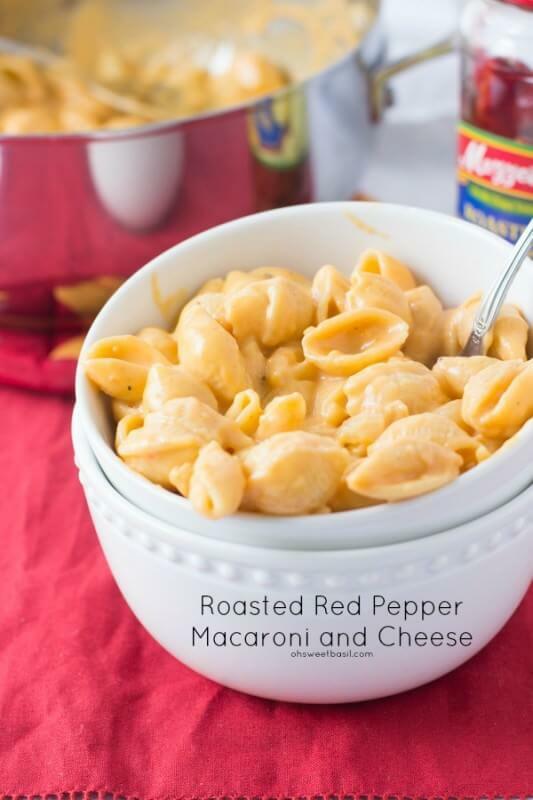 Is Mac and Cheese Gluten Free? The noodles in Mac and Cheese are made from wheat. Therefore, mac and cheese is not gluten free. Can Mac and Cheese Be Served Cold? As long as it has been kept refrigerated, mac and cheese is safe to eat cold. In a large sauce pan over medium heat, add the butter and melt until beginning to foam. Add the flour and quickly whisk for 30 seconds. Add the dijon, worcestershire, and hot sauce,(see note) whisk again and add the milk and cream, whisking as you’re pouring. Allow the mixture to come to a boil and begin to thicken. Turn down to a simmer and add the cheeses. Allow to melt and thicken a little more and then season to taste with salt and pepper, which is essential for a good macaroni and cheese. Add the pasta and sweet pork, stir to combine and set aside. Heat a small pan over medium heat, add the butter, melt completely and add the bread crumbs, stirring occasionally until golden. Spray an 8×9″ baking dish with nonstick cooking spray. Add the pasta and pork, and sprinkle with bread crumbs. Bake for 15 minutes or until heated through and bubbling, allow to rest 5-10 minutes and then serve. 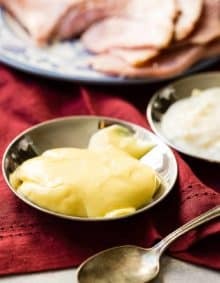 I like to add my hot sauce, worcestershire, and mustard all into a small dish ahead of time so I can quickly add them to the pot without burning the butter. Holy cow — let’s be neighbors! No really, why are we not neighbors? This looks so phenomenal. Wow!!! 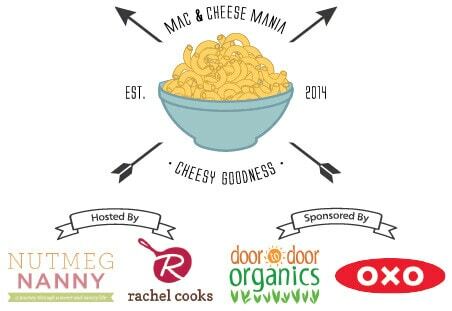 Thanks for helping us kick off mac and cheese mania! Thank you for having me! I’ve been so sick all week but I am trying to make the rounds to everyone! This is the prettiest mac n cheese I’ve ever seen. I need to try this one. Sweet is my way of life. Good to know that one comfort food plus another comfort food equals to something magical! it definitely was just that, magical! I love the pork mixed in! I love pulled pork, and it is such a great addition! Over the top amazing!! Love this! Next time you dish this up, I think I should invite myself over for dinner. that would be the best surprise ever! 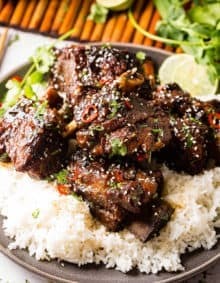 I have never heard of sweet pork, but it sounds quite yummy! 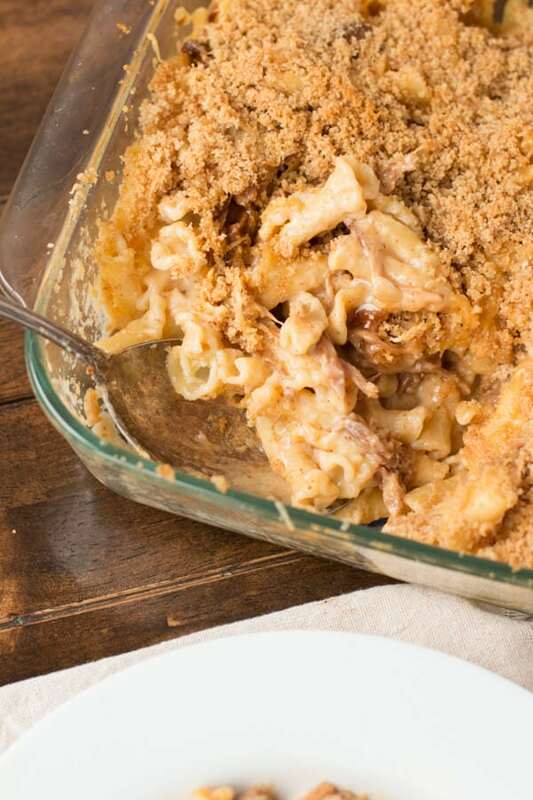 This Mac looks delicious. 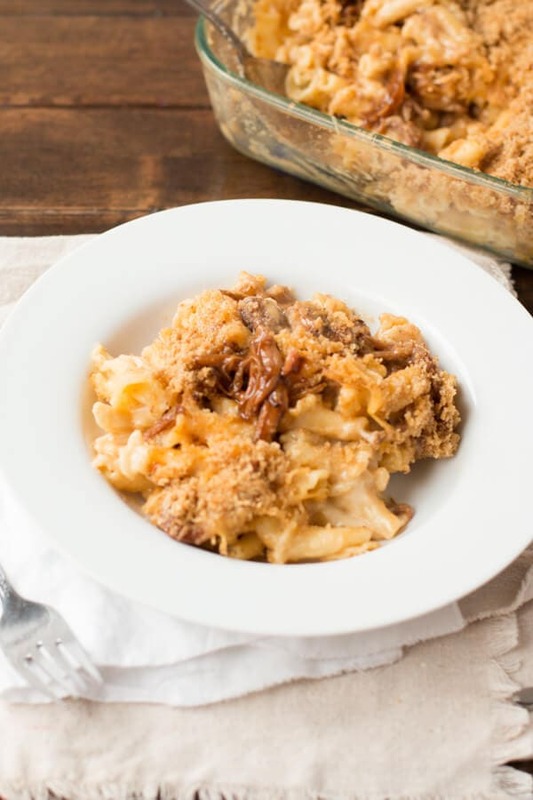 Great contribution to Mac and Cheese Mania! 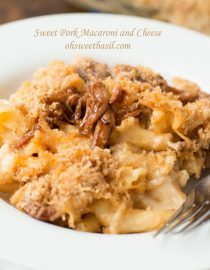 Oh man my husband would LOVE this sweet pork mac and cheese dish. I love the hot sauce in this and that topping?! 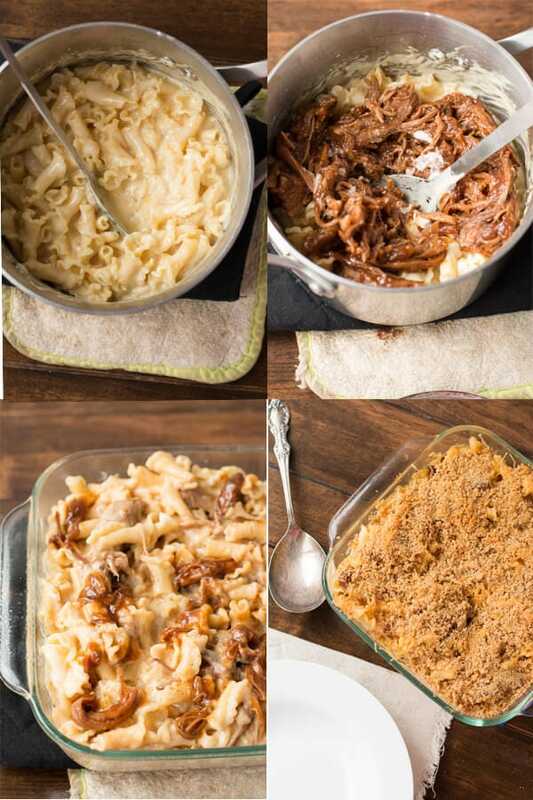 I love putting pulled pork in mac and cheese! This looks so creamy and delicious…I want to just dive right on in! Yes!! So glad I’m not alone in it! It was totally dangerous. My self control flew out the window! Love that buttery breadcrumb topping! Gorgeous photos too!